Trillium Health Partners is a leading hospital with an outstanding record of performance, fiscal responsibility and quality patient care. 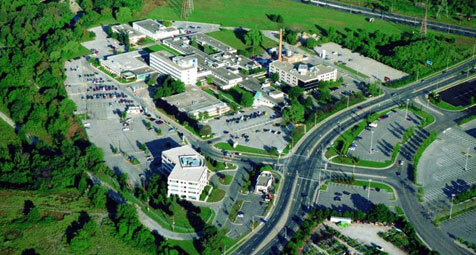 The hospital encompasses three main sites – Credit Valley Hospital, Mississauga Hospital, and Queensway Health Centre – offering the full range of acute care hospital services, as well as a variety of community-based, specialized programs. Our intention is to achieve the highest quality of care that is easily accessible for our community, at the lowest cost. We are committed to creating an exceptional experience for everyone who walks through our doors. As our diverse community continues to grow and age, and as more people are living with chronic diseases, we’re taking into account the inevitable changes on the horizon. We know that to continue to deliver exceptional patient care, we must think and act differently, and take a new and innovative approach to the delivery of health care. We envision a new kind of health care for a healthier community – an inter-connected system of care that is organized around the patient, both inside the hospital and beyond its walls. Through partnership, working in a coordinated way across the system, we can meet the needs of our patients and continue to provide outstanding, sustainable quality patient care. As partners in creating a new kind of health care, we are Better Together. When we set out to build a strategy based on a new approach to health, we didn’t go about it alone. We talked to our community – patients, families, staff, physicians, volunteers, and our health care partners – to help shape our vision and establish our priorities. Because after all, we’re not just caregivers, we’re also patients and members of this community. And we’re in this together. Please take a few minutes to read about our vision for a new kind of health care. We worked with you to develop our patient declaration of values. These values are important because they tell us what matters most to you in your care experience. The Credit Valley Hospital is a professional, caring, health care organization that promotes life, health and innovation. Credit Valley is known for its innovative, can-do approach to providing quality patient care to the people of Mississauga and the surrounding region (approximately one million people). Credit Valley is a regional leader in specialized programs for clinical genetics, renal, maternal-child care and oncology, as well as core clinical programs in general medicine, surgery, emergency, mental health, rehabilitation, obstetrics and gynaecology, paediatrics and cardiac services. 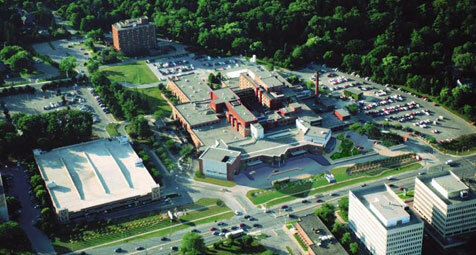 Credit Valley currently covers over 1 million square feet and is a 382-bed acute care inpatient facility, featuring a regional cancer and ambulatory care centre, a 24-emergency care centre, and a regional women’s and children’s health centre featuring an advanced level 2 neonatal intensive care unit and the largest paediatric oncology satellite program in Ontario outside of the Hospital for Sick Children. The Credit Valley Hospital has consistently met Accreditation Canada’s national safety and patient care standards. Credit Valley is also a provincial leader in reducing ER wait times. Trillium Health Partners is one of Canada’s largest leading academically-affiliated health centre with highly-specialized regional programs in Advanced Cardiac Surgery, Geriatric Mental Health Services, Hepato-Pancreato-Biliary Services, Neurosurgery, Palliative Care, Primary Percutaneous Coronary Intervention, Sexual Assault and Domestic Violence, Specialized Geriatric Services, Stroke, and Vascular Services. Housing a model ambulatory care centre and the largest free standing day surgery centre in North America, Trillium Health Partners serves over one million residents in Peel and West Toronto and from other communities across Ontario. With the continued support of the Trillium Health Partners Foundation, the hospital’s fundraising arm, the two-site facility is attracting international attention for its innovative approach to providing safe, high quality health care services and has received numerous national awards for quality and innovation. The focal point for our inpatient services, Mississauga Hospital is located in the heart of Mississauga's south end. The 24-hour Emergency Centre Mississauga Hospital is the largest in Canada, one of the busiest in the country, and frequently the front door to many of our regional programs including Stroke, Neurosurgery, Cardiac and Sexual Assault & Domestic Violence Services. Our Mississauga location also houses the largest concentration of critical care services in Canada with modern facilities offering bright and roomy patient rooms for Intensive Care, Cardiac Surgery Intensive Care and Coronary Care. With a specialized focus on women's and children's health services, our Colonel Harland Sanders Family Care Centre, the first of its kind to be located in a hospital setting in Canada, brings all these services together under one roof. It's child-friendly treatment and waiting room areas feature interactive wall décor, an innovative playroom and bright colours designed with input from children in the community. Queensway Health Centre is a model ambulatory care centre. By consolidating our leading edge ambulatory care programs together at one location, we're offering community residents access to one of the most convenient and comprehensive outpatient services in the country. Inspired by those who come to us for care, we have transformed the site into a first class, bright and modern facility. Located on 24 acres of treed land in Toronto, Queensway Health Centre ideally situated for easy access, nestled between two main traffic arteries – Highway 427 and the Queen Elizabeth Way (QEW) – and serviced by both the Toronto and Mississauga Transit systems. Queensway Health Centre features a 14-Hour Urgent Care Centre, the largest day surgery centre in North America (Surgicentre), a widely-recognized Cardiac Wellness & Rehabilitation Centre, and The Betty Wallace Women's Health Centre with a focus on early intervention and screening of osteoporosis and breast disease. *Please note: Queensway Health Centre does not have an Emergency Centre. The Urgent Care Centre is open 14 hours a day between the hours of 8:00 a.m. and 10:00 p.m. A 24-hour Emergency Centre is located at The Mississauga Hospital, 100 Queensway West in Mississauga, only five kilometres from Queensway Health Centre.